The Nocturnal Times has partnered with Goldenvoice for a ticket giveaway to the Day Club Palm Springs during weekend 1 of Coachella. From Friday, April 13 through Sunday, April 15, Day Club Palm Springs is bringing some of dance music’s biggest talent. Included among those slated to perform during Coachella’s weekend 1 at the Day Club Palm Springs are Deorro, Cash Cash, Justin Martin, Chris Liebing, Joseph Capriati, Moon Boots, Kolsch, AC Slater, Jack Beats, Amtrac, MakJ, Henry Fong, and more. 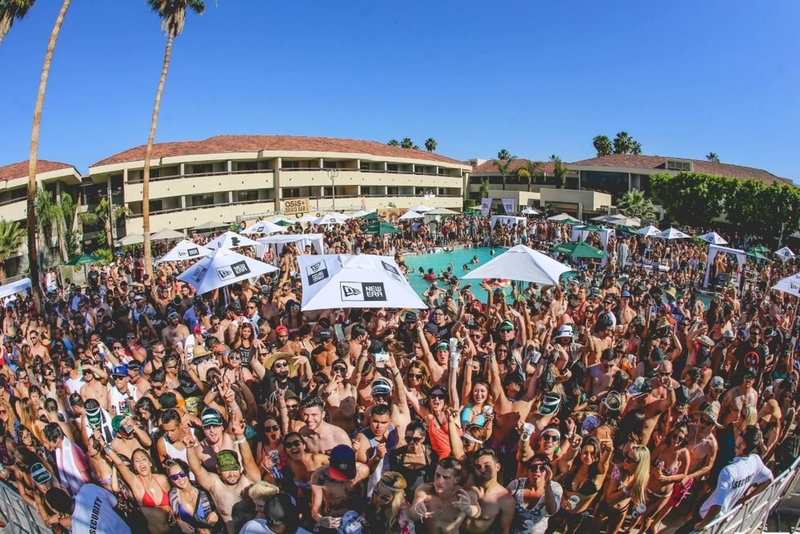 With festival season in full swing, Coachella Valley Music & Arts Festival’s annual double-weekend return to Indio, California Friday, April 13 brings Night Bass Pool Party with Justin Martin, AC Slater, Jack Beats, Amtrac, Born Dirty, and Petey Clicks. On Saturday, April 14, Deorro is joined by Cash Cash, MakJ, Henry Fong, and Max Styler. Day 3 at Day Club Palm Springs serves up some Sound Nightclub presents Chris Liebing, Joseph Capriati, Kolsch, Moon Boots, and Peegy Gou. Coachella weekend 2 brings a whole different set of talent to the Day Club Palm Springs. Included on the weekend 2 bill at the Day Club are Space Yacht presents Alison Wonderland, ODESZA (DJ set), and Illenium, among others. Check this space during the week to win tickets for weekend 2.